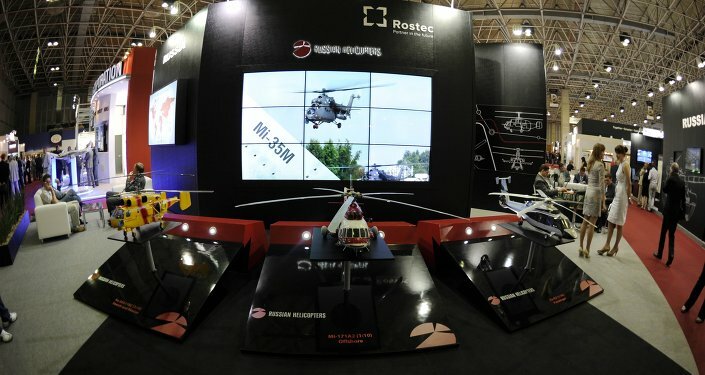 Russia plans to deliver four military transport Mi-17V5 helicopters to Thailand, Rostec state corporation's international cooperation head Viktor Kladov told Sputnik on Saturday. ABU DHABI (Sputnik) — Thailand intends to use the helicopters for handling the consequences of natural disasters and carrying troops. "The Thai side is very happy with the Mi-17V5s and we have new orders for them… Bangkok is buying more. As far as I know, they are talking about four helicopters," Kladov said. Earlier in February, media reports suggested that Thailand planned to order 12 Mi-17V5s from Russia to replace US-made CH-47D helicopters. Six Mi-17V5s are said to already be in operation with the Thai forces.